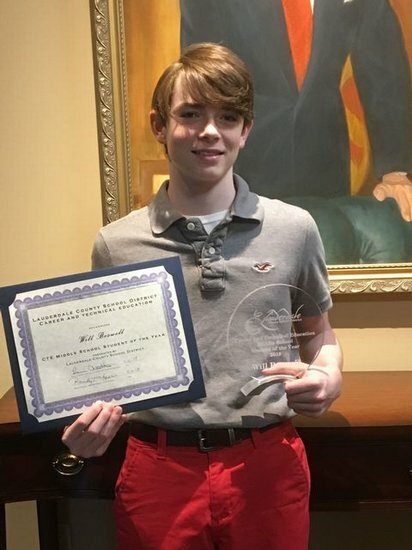 8th Grader Will Boswell was chosen as the 2018 Lauderdale County Schools Middle School CTE Student of the Year and recognized at the May School Board meeting. He was selected from all of the CTE Student of the Month nominees from the 2017-18 school year. Will represented SEMS as CTE (Career & Technical Education) Student of the Month in November. 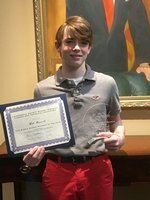 He was nominated by his Technology Foundations teacher, Mrs. Brenda Coleman.